"Why is Facebook censoring conservative bloggers such as Diamond and Silk?" U.S. Rep. Joe Barton asked the Facebook CEO Wednesday, continuing a line of questioning that U.S. Sen. Ted Cruz began a day earlier. 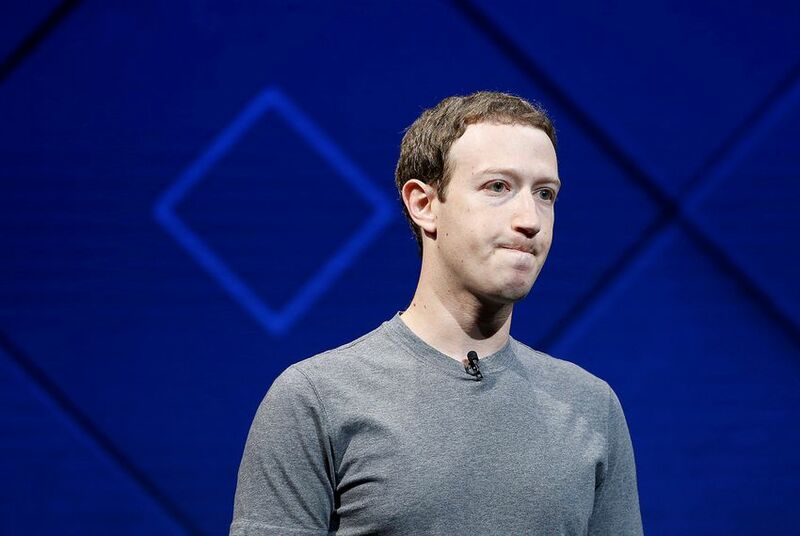 WASHINGTON – On the second day Facebook CEO Mark Zuckerberg appeared before congressional lawmakers, two Texans followed in the footsteps of Sen. Ted Cruz in criticizing the social network for allegedly censoring conservative content. A total of five Texans serve on the House Energy and Commerce Committee, which convened Wednesday to question Zuckerberg in the wake of widespread criticism of Facebook's response to an enormous data breach and concerns about the platform's privacy controls. Those members include one Democrat, U.S. Rep. Gene Green of Houston, and four Republicans: U.S. Reps. Joe Barton of Ennis, Michael Burgess of Lewisville, Pete Olson of Sugar Land and Bill Flores of Bryan. Following a high-stakes U.S. Senate hearing Tuesday, Wednesday's affair was more muted in tone. But that did not stop Barton, the vice chairman of the committee, from accusing Zuckerberg of political censorship. "Why is Facebook censoring conservative bloggers such as Diamond and Silk?" Barton asked early in the hearing, referring to popular pro-Trump bloggers who are also sisters. "Facebook called them 'unsafe to the community.' That is ludicrous. They hold conservative views. That isn't unsafe." Zuckerberg conceded that in the case of the bloggers, "our team made an enforcement error, and we have already gotten in touch with them to reverse it." Barton's question echoed Cruz's line of questioning Tuesday, when the junior Texas senator accused Facebook of engaging in "bias and censorship," citing a 2016 Gizmodo story that reported Facebook routinely suppressed some conservative news articles. Several other Republican representatives, including Flores, quizzed Zuckerberg on how Facebook handles conservative content. Flores asked the CEO if he believed Facebook and other technology platforms should be "ideologically neutral." "I agree that we should be a platform for all ideas, that we should focus on that," Zuckerberg said, echoing a similar response he gave to Cruz on Tuesday. Zuckerberg's appearances on Capitol Hill this week were spurred largely by a New York Times story reporting that Cambridge Analytica, a data firm that did work for Donald Trump's presidential campaign, utilized data from 50 million unsuspecting Facebook users to inform its consulting work. As a result, other Texas members grilled Zuckerberg about the strength of Facebook's data security methods and the privacy controls afforded to American Facebook users. Green pressed Zuckerberg to commit to giving Facebook users in the U.S. the same privacy controls and protections as those guaranteed to Europeans through the European Union's General Data Protection Regulation (GDPR). The law, which will go into effect next month, regulates how European user data is collected and deleted at the user's request. Facebook has committed to abiding by the law in Europe and offering similar privacy controls to Americans, a sentiment that Zuckerberg repeated Wednesday. Olson asked how the Cambridge Analytica breach could have happened when a large portion of Facebook's 27,000-strong workforce is dedicated to data security. Zuckerberg said the breach happened before "we ramped those programs up dramatically." "No amount of people that we can hire will be enough to review all of the content [on Facebook]," Zuckerberg said. He added that there's only one solution – artificial technology – that could allow the company to properly address such a large challenge. "We need to rely on and build sophisticated AI tools that can help us flag certain content," he said. Disclosure: Facebook has been a financial supporter of The Texas Tribune, a nonprofit, nonpartisan news organization that is funded in part by donations from members, foundations and corporate sponsors. Financial supporters play no role in the Tribune's journalism. Find a complete list of them here. A Russian Facebook page organized a protest in Texas. A different Russian page launched the counterprotest.